I believe. I believe that. I believe that we will win. 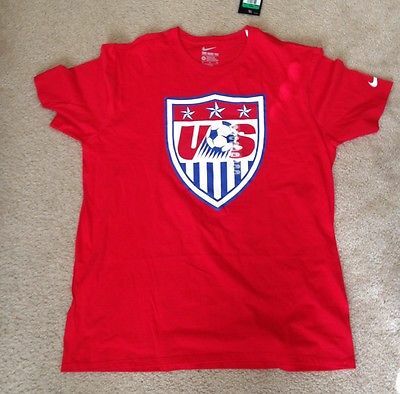 Show your pride in the USA with the Nike USA Core Crest T-Shirt. Whether it was the men’s play in the 2014 World Cup or the dominance of the USA Women’s squad, our nation is going crazy over our national program. With dynamic players like Clint Dempsey, Jozy Altidore, Alex Morgan, and Abby Wambach all wearing the red, white, and blue, fans have a lot to cheer for whenever the players run onto the field. 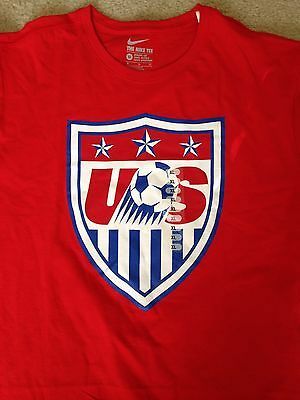 Put the US Soccer crest on your chest with the Nike USA Core Crest Tee Shirt. This 100% cotton shirt keeps you comfortable no matter where you are. Put on the Red, White, and Blue and cheer for the squad all year long. NIKE USA AUTHENTIC N98 JACKET White/Blue.